Sean Malin of CineMalin: Film Commentary and Criticism video-reviews Kimberly Peirce’s Carrie, the 2013 remake of Brian De Palma’s camp horror classic. Revisiting De Palma’s formula through a lesbian gaze, Peirce’s well-made feature brings Chloe Grace Moretz into the role of the telekinetic Carrie White, a repressed teen raised by a god-fearing and freaky Julianne Moore. Peirce, the director of such good movies as Boys Don’t Cry (2000) and 2008’s Stop-Loss, has located an important space in the mainstream cinema to affirm the presence of Queer talent behind the camera. If Hollywood sees Carrie – campy to the extreme, but accomplished in its craft – they’re likely to start paying better attention to Peirce and her peers. That is empowerment in all the right ways. 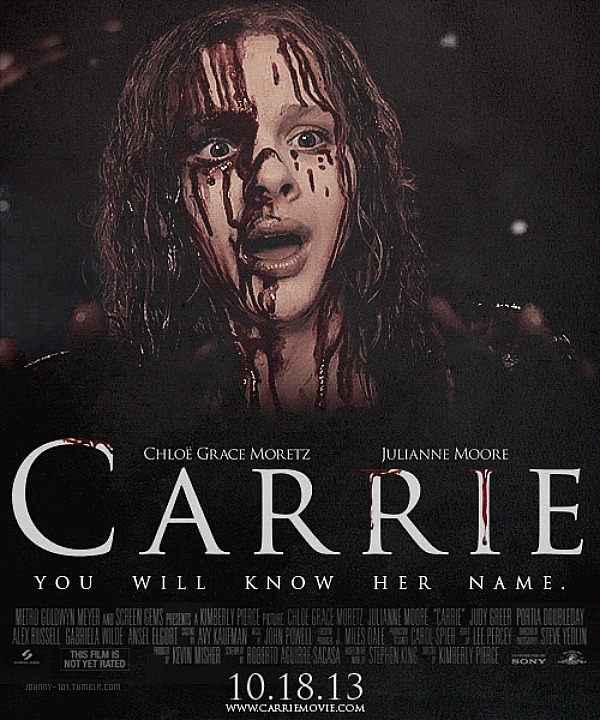 Carrie opened across the United States theatrically on October 18, 2013.